Honeybees are important in pollinating many U.S. crops. The bees are so important to allowing the plants to set fruit that millions of bees are shipped around the country to ensure that farms and orchards can produce fruit. 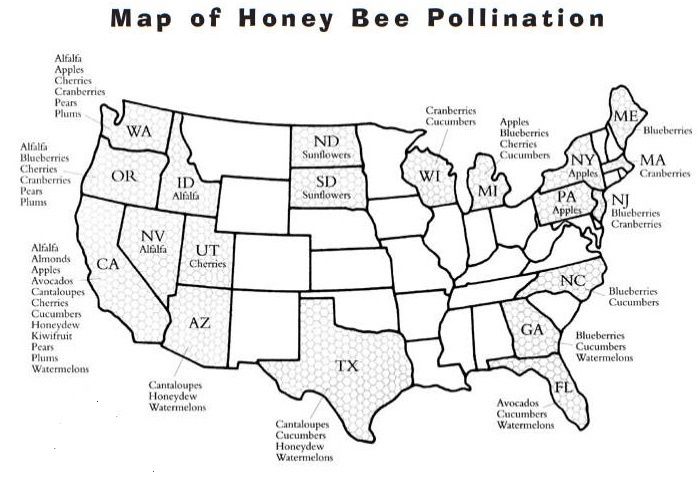 See the main crops that the bees help in each state.